…. a midweek service with communion. The palm crosses from the previous year are burnt and mixed with oil. 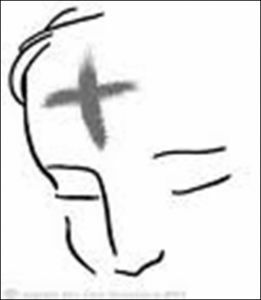 This is then used to mark the sign of the cross on the forehead of each person as a sign that their sins have been forgiven.